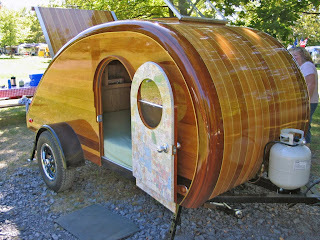 What is a Teardrop Trailer? The small, convenient trailer for camping enthusiasts- slightly more substantial than a tent, slightly less than a caravan. They are lightweight and streamlined, and often made by their owners to suit their exact needs. Plans can be bought or found for free on the internet on sites such as wikibooks. 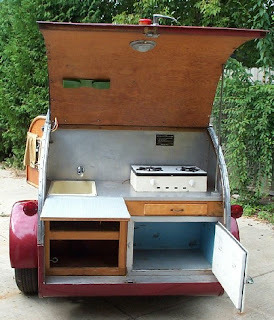 Teardrop Trailers usually sleep 2, and have rudimentary cooking facilities. They can be powered by battery or even have mains hookups. Toilets have been dispensed with in favour of small size and weight- however, this makes it no less equipped than a tent- in fact, it is better equipped and requires no assembly! 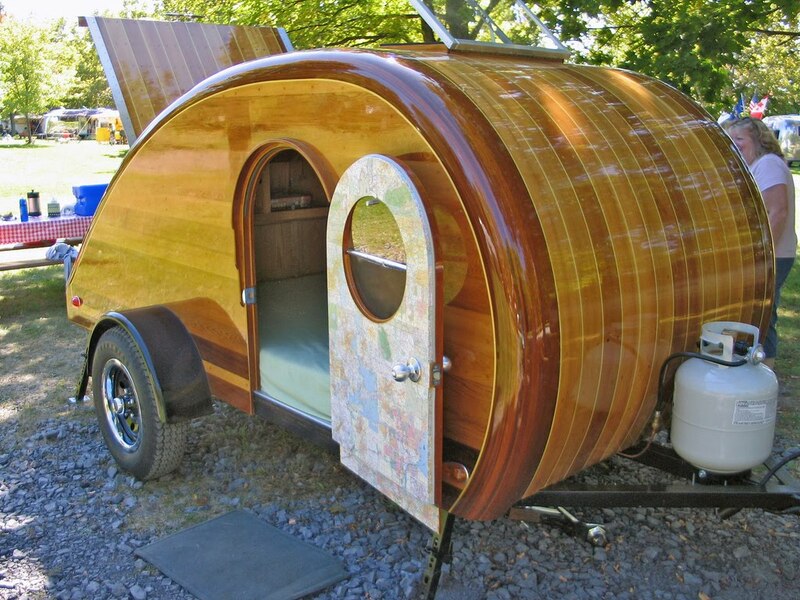 Teardrop Trailers have accrued quite the following, and there are forums and communities dedicated to trailer users and builders- such as www.tearjerkers.net. I have to say I love the idea- less expensive than buying an RV/campervan, but less hassle and more weatherproof than a tent. Perfect!